Taylor Richardson works with clients as a small business specialist. Prior to his career as a financial advisor, Taylor spent a few years as a small business owner and is uniquely aware of the complexity of ownership. He now uses that experience to guide and educate clients to harness their greatest tax advantages and wealth building tools. Retirement plans are an often-neglected tool for small business. It’s not just an employee benefit, it’s an owner’s greatest opportunity for tax reduction and wealth accumulation. Our process creates efficiency in plan design and reduces cost while enhancing the offering of small business retirement plans. 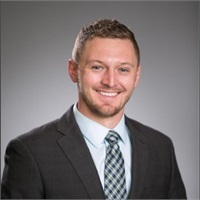 As a Chartered Retirement Plan Specialist, Taylor is educated in implementing, ongoing service and the opportunity that the many types of plans can offer. Retirement plans have subtle complexities, major tax deferral differences and staggering pitfalls due to minor mistakes. Taylor helps navigate complexity of ERISA, Department of Labor and IRS requirements to simplify retirement plans. Engage Advisors LLC is a state Registered Investment Advisor in the states of KS, CA, CO, IL and MO.